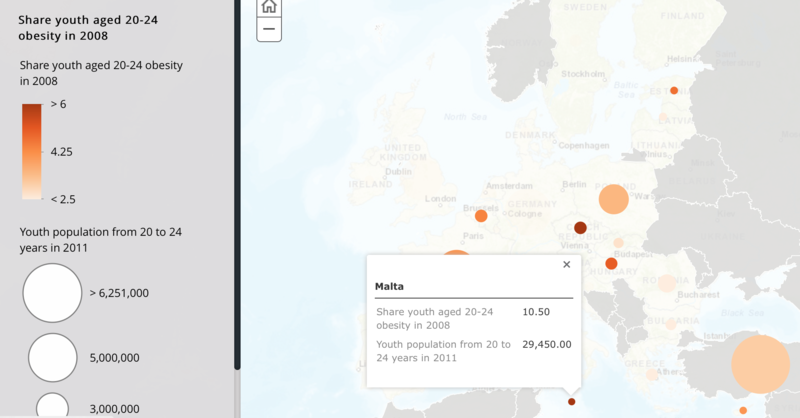 Malta’s youth are some of the most overweight in the EU. The country’s high level of obesity can be linked to smoking, alcohol use and social inequality. Can Malta sport its way out of the problem? New habits and social routines have pushed Malta’s youth into an unhealthy direction. Rising overweight among the country’s young people has lead to a so-called 21st century problem. Obesity. YouthMetre’s data show this specifically concerning the panorama of the youth’s health in Malta, when compared to the rest of the EU. With a 5,20% share of obese youths aged 20-24 in 2008, Malta is one of the countries with most overweight young people in the European Union. 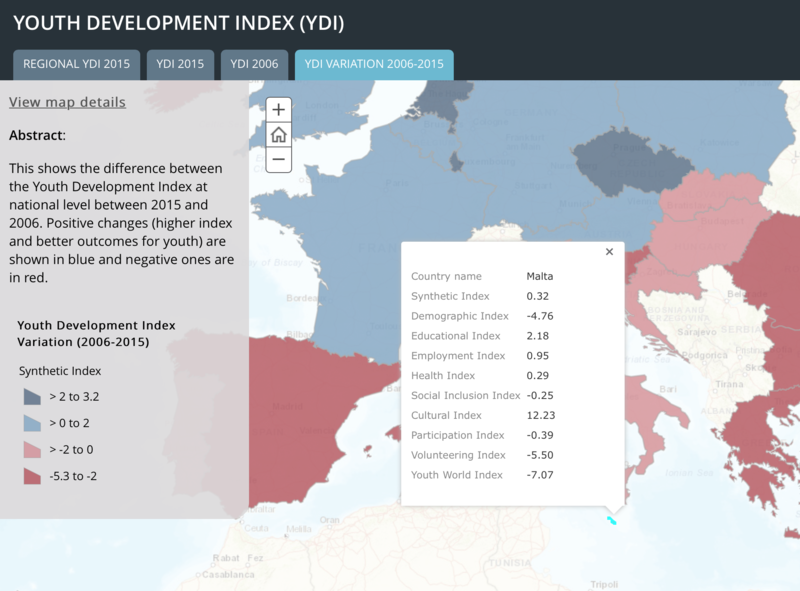 The YouthMetre shows two clear factors worsening the situation. Firstly, an increasing number of young smokers, leading to 17,7 in 2008 – a trend that is even higher today and has surpassed the proportion of smokers in the older population. Secondly, the consumption of alcohol. 86 of the share of young people had alcohol in the last 30 days according to YouthMetre. More than this, obesity is overall a source and a target for social inequality. Education plays a key role in the overweight problem. The less educated, the higher tendency to have a higher body mass. As a consequence, obesity cannot be regarded only as a matter of health, but as a social issue which must be repaired. Obesity not only affects the physical health of each citizen. It impacts the mental health of the individual profoundly, has an important social cost on the healthcare system and implies a lower productivity at the workplace. So how to solve it? Prevention and education are key. One of the main instruments to tackle the challenge of obesity in Malta is physical activity. Due to the recent lifestyle spread in the Southern countries of Europe, there is not as strong a culture of exercising as in the Northern countries, where practicing a sport is a very common hobby. Therefore, physical activity, with special regard to sport and games, must be encouraged among the Maltese citizens. And the younger the targeted audience is, the easier it will be to create the appropriate broth for sport culture: it’s easier to help the trunk grow in the right direction than trying to fix the tree when it’s already grown. This project is going to be developed inside the framework of the EU Youth Strategy 2018, which aims to reduce the risks associated with obesity through the power of sports. The deficit of exercise is prejudicing the young Maltese population. According to the polls, lack of time, motivation or money is the main reasons the EU citizen gives for not exercising more often. Moreover, local authorities do enough to provide their citizens with such opportunities according to the 39 % of the respondents. Create the opportunity for the young citizens to exercise by offering them courses, facilities and sport materials for a short period of time, with the intention of promoting sports culture among the population and the local institutions. Short term objective: Improve the access to sports facilities, materials and knowledge, especially to the less advantaged youth (thus fighting inequality). Long term objective: Promote teamwork, intercultural learning and responsibility. Using sport as a democratising tool for social inclusion. Encourage local authorities to invest in sport activities and facilities through a long-term vision. 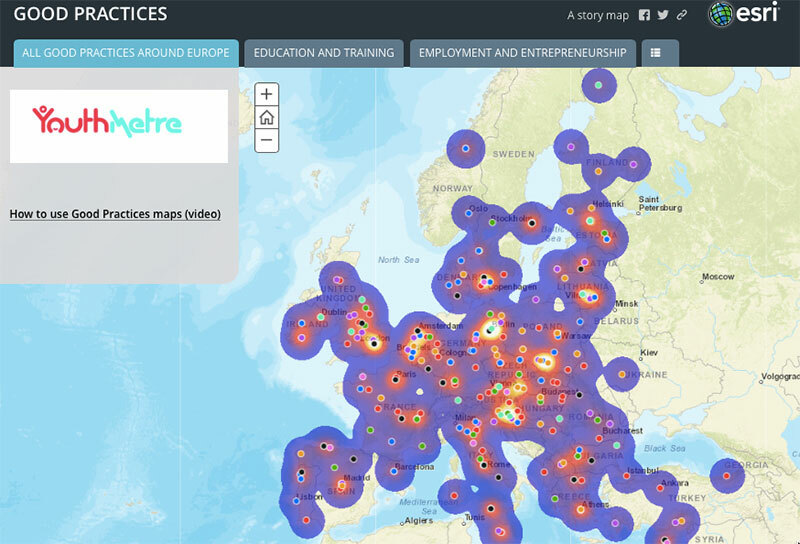 Through the use of the “Good Practices” map in the YouthMetre tool it is easy to see many diverse approaches to each challenge in different regions of the European Union. Countries such as the Netherlands, Belgium or Germany have a high number of good practice projects. The project ‘Voluntary exchange with partner cities 2014/2015′ from Cologne allowed young citizens to volunteer abroad in social related projects. Meanwhile, in the project ‘Peacecamp 2016: zusammen leben‘ a group of Israelis and Palestinian adolescents fought racism and prejudices though the activities of a holiday camp. One that offered common concerns on the well-being and the lifestyle of the youth is the project ‘More active, more healthy‘ based on a training course and a youth exchange focused on stress, exercise and diet. To create rotating spaces with free training (including material and instructors) in different sports among key different locations in Malta. Through the work of a consortium, the idea is to offer easy opportunities to learn new sports on a cyclical basis, encouraging exercise as a source of healthy entertainment. Meanwhile, young people from different social stratum are able to exchange perspectives and build bridges between their different urban zones. A facility is used for three or four different sports two days a week. Open courses will rotate around the city during the whole week in order to offer training in different neighbourhoods. Possible stakeholders: Universities, high schools, local authorities, youth associations, exchange camps, local sports teams, or other related stakeholders. Target audience: young people between 15 to 25 years and local authorities. Small groups will make it easier to provide material. Space: School/University/Municipality facilities. Other tools to take into account: Social Media. For the project evaluation, there should be a poll at the beginning and the end of the project among the young participants in order to see the evolution of their perception on sport, its benefits and elements that could be improved from the project for possible future cases. By sharing the outcomes of the report, it will be easier to encourage the Maltese political authorities to invest in sport programmes and infrastructure for the youth.